As the rest of the world is in a downhill process, China – the sleeping dragon – slowly emerges from its slumber. As a result of the decades long rising of Chinese economy today we are at a point of no return: China has amassed such influence in the World that it cannot be neglected anymore. This entry tries to reveal details of the leadership and attitude change in China. The question of “Who is who?” in China is always of those type of questions that cannot be answered directly. Leadership roles, or more like the faces that connect to these key positions are often lingering in the dark when it is about China. 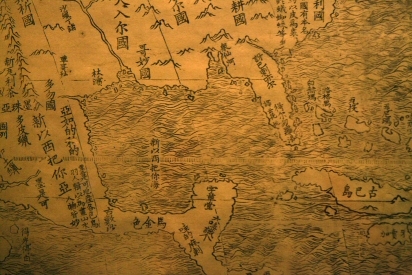 The country of the Great Dragon was always a place of complex relationship networks, many different influential actors interwoven in a vast ocean of connections. This is one good reason why newly appointed (and/or elected) high ranking officials of this prominent country visit a great number of places right after assuming office. The other (and fairly more logical) reason is the current situation of China. Fear not, China is still one of the most influential countries of the world. However recent years, or more likely decades of continuous stop-and-go game in the economy resulted in a very delicate situation. The mentioned delicacy is fairly visible to everyone who reads news from this part of Asia, Chinese economy is more or less struggling. Again, this is not the type of crisis like in Europe. Chinese is more like a structural crisis as experts say. I would say that the necessary protocol visits are inevitable for newly announced key officials of an important country. On the other hand, this time Chinese VIPs travel with a dual purpose. First, of course, introducing themselves personally to the leaders of other countries and at the same time show a glimpse of what is to be expected from the new Chinese leadership. Chinese economic problem is not something that will be solved in just a few years. Or at least, Western analysts think, but we all know that Asian working morale is slightly different. The source of this struggle is not the dependent economy or the lack of workforce. In fact, the main cause of the problem is basically the wasting of resources. Well, a country like China, who has a lot of hoarded resources from natural resources to different currencies, should know how to profitably use them. On the other hand, the fascinating way Chinese corporations waste their reserves has been noted by the government and measures have been made. Let us make something clear before going into details: China is an enormous economic power, with huge potentials, the problem is not with these, it’s with the way they use them. Or more accurately, the way they are not using them efficiently. Chinese economy is mainly dominated by government run corporations, who – as a governmental directive – amass vast amounts of reserves. But these, after being hoarded together, mostly lie silently in the shadows. Chinese government, as it directs these grand corporations, does not tell them, what to do with their huge surplus, and these corporations, lacking basic market instincts many times, simply just sit on their treasure like a dragon in its hideout. Many experts say that this is just a part of the real problem. Speaking about China, you also have to keep in mind that the population’s consumption is fairly low compared to other countries with similar economic potency (perhaps we can mention the United States, as an equal partner to China in power, according to Xi Jinping, Chinese President). And of course, next to the low consumption and huge reserves you also have to add another ingredient to your mixture: the lack of “good investments”. Clearly Chinese mega-corporations, with the ever protecting shield of the state behind them, have to be less careful and copious with their investments, compared to their western relatives. As you can see above, leading China, on top of this maze of economy, could be like being a buoy on top of a billowy surface of water, a coming storm in the distance, menacingly approaching. Fortunately, China is never out of capable people, and the current leadership is ready to somewhat shake up the previously still water around the country. The attitude of the Xi Jinping – Li Keqiang leadership is, least to say: more of an active way of approaching issues, than Deng Xiaoping’s tactic of silent growth. The first step of this “new attitude” is the deployment of envoys. The new leaders seem to be in strong position, because both Xi Jinping and PM Li Keqiang went on tours almost at the same time. Emphasizing Chinese power, the two Chinese officials visited China’s most important partners. Prime Minister Li Keqiang visited India and Pakistan, then went on to a “European Tour” – visiting Switzerland and Germany, while Xi Jinping Chinese President made his way to the United States, Mexico, Costa Rica and Trinidad and Tobago. Naturally, these meetings amongst leaders are happening in a very polite environment, where everybody is generous and understanding. However this time, Chinese politicians stood their ground, especially Xi Jinping, who is often dubbed “strongman” by experts. Well at least to say Mr. Xi is very pragmatic in thinking, and profit-oriented in negotiating. His way into leadership could be written in another complete wall of text, so we just stick to the surface now, after all this is not a deep analysis. Xi Jinping is considered to be a somewhat conservative thinking Chinese politician, with very strong positions in the government. His leadership creates a bridge between the nationalists and the hard-liner communists, with his Prime Minister Li Keqiang, also incorporating the lesser reformists. And now, turning on to the main topic: the Great Chinese Tour itself. For me at least, the very existence of this “double-tour” is already saying much about Chinese leadership in the future. It seems that Chinese leadership wants to promote its prominent place but not by just pure representation. Chinese foreign policy has become more and more influential as the economic crisis hit the World leaving but one country with gigantic currency reserves. The country that has been laying low in the past few decades, accumulating, silently expanding influence. Their voice however is raised in the past few years, resulting in an ever growing sphere of influence in the Far East. China has sent its envoys to its most important partners – the US and Europe, carefully paying attention to the details: sending President Xi Jinping to the “American-tour” and Prime Minister Li Keqiang to the “European-tour”. With their peculiar sense to details, Chinese politicians made an exact demonstration of their intensions with Europe and the United States. Pairing up their leaders, they sent their Prime Minister to the “World of Prime Ministers” and their President to the “World of Presidents”. We can say that while Chinese political cautiousness remains the same, the presence of China in world politics is strengthening by the day. As it stands today: China does not have friends all over the World anymore, but has interests all over the World, and of course, these interests will be protected by China.